What is better for summer than a pretty accessory to spice up your outfit? 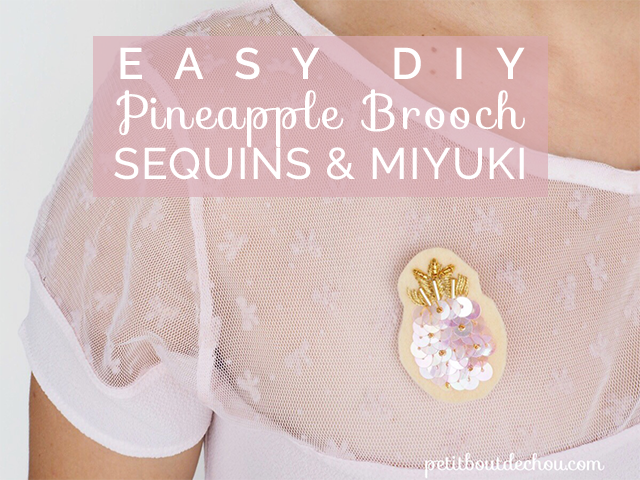 This week, let’s learn how to make a sequin and miyuki pineapple brooch. 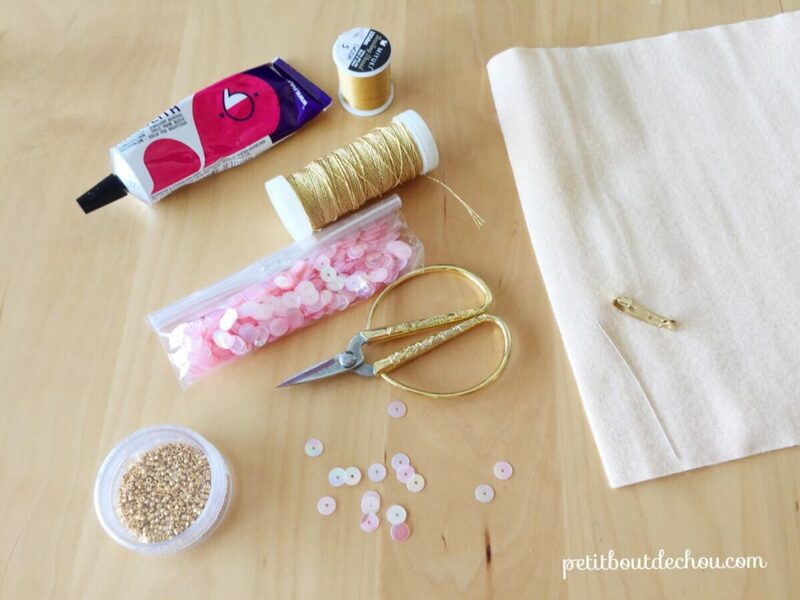 You will see how easy it is to create this handmade accessory. 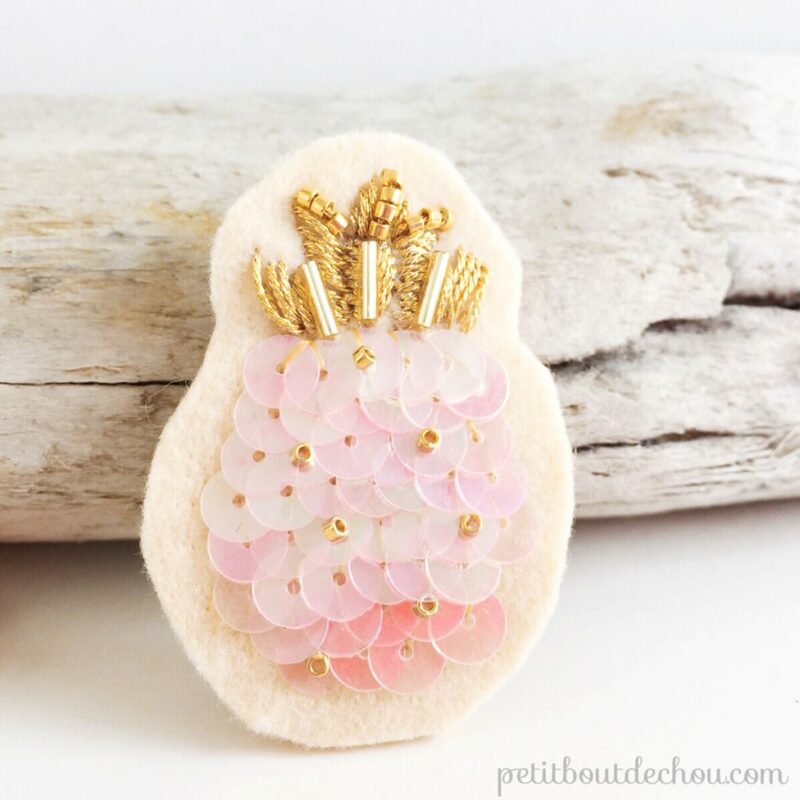 For this tutorial, I have been inspired by the amazing work of @marie_maglaque, a hand-embroidered accessory maker that I discovered on Instagram mixing sequins, beads and embroidery in her designs. 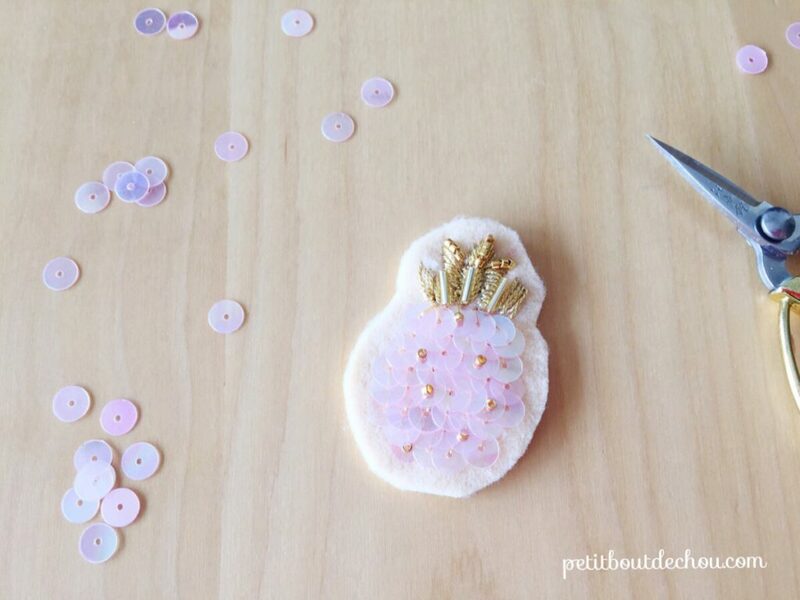 Thread your beading needle with the thread and start placing the sequins following the body of the pineapple. We will make rows starting from the bottom. Make a knot. Pick the needle from the back of the felt (1). Thread one sequin on the front. Slide it against the fabric and pick your needle at 12 o’clock(2). 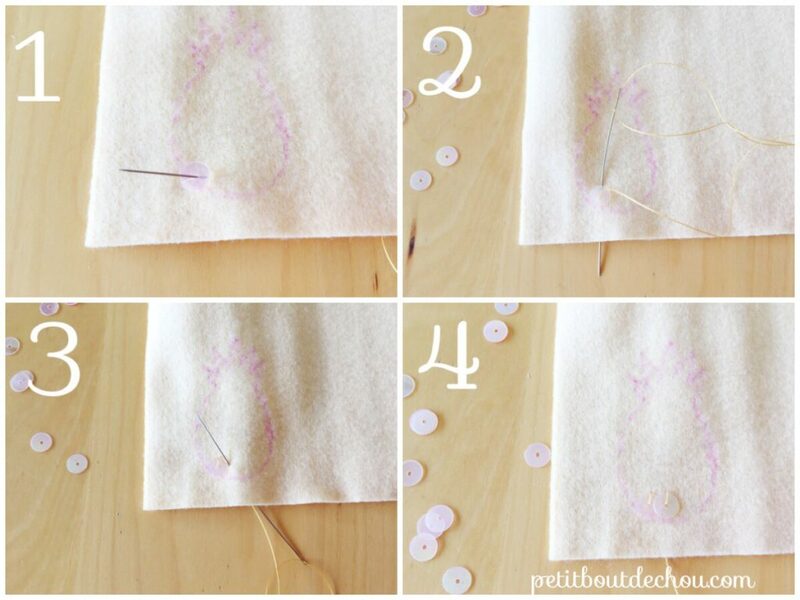 Start again from the back, pick your needle at 3 o’clock of the first sequin (3). 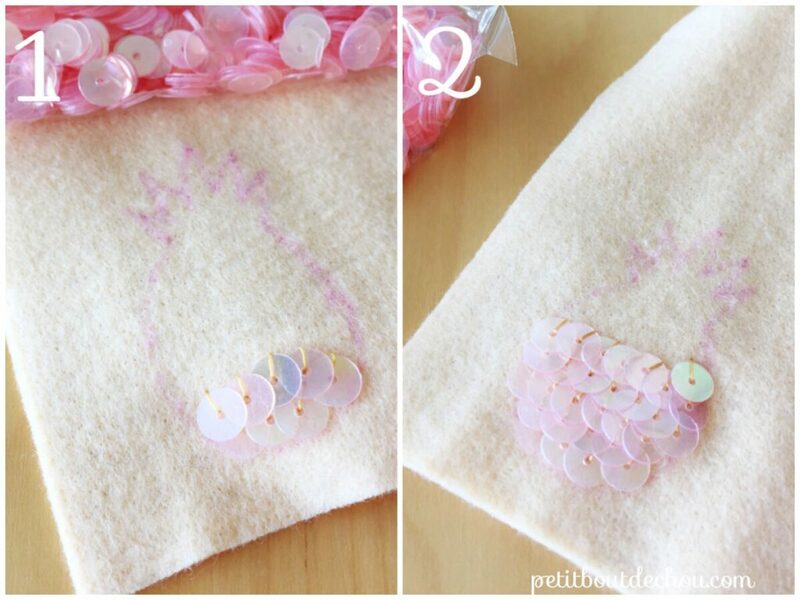 Place your new sequin and pick at 12 o’clock (4). Repeat until you have made the full body of the pineapple. Each row is separated by half a sequin’s height. 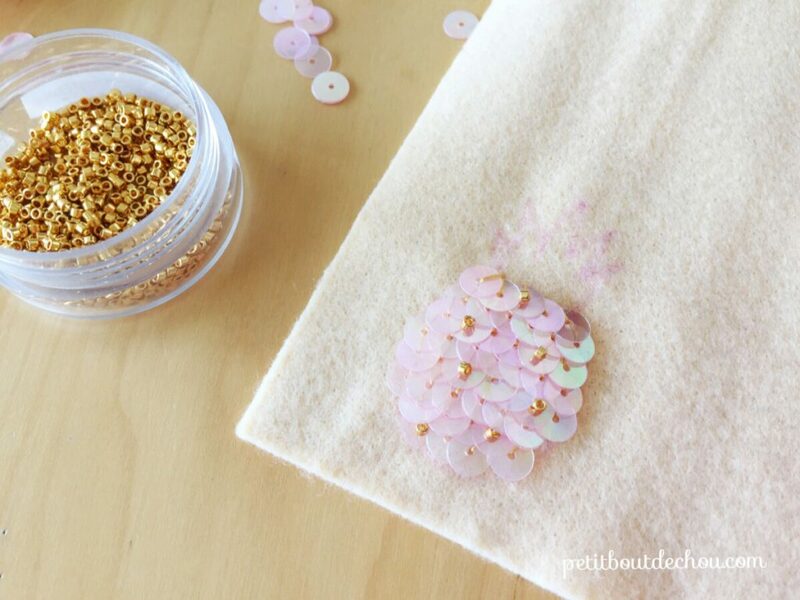 Use the same thread and needle to place a few miyuki beads in the holes of the sequins. Tighten at the back and make a knot. 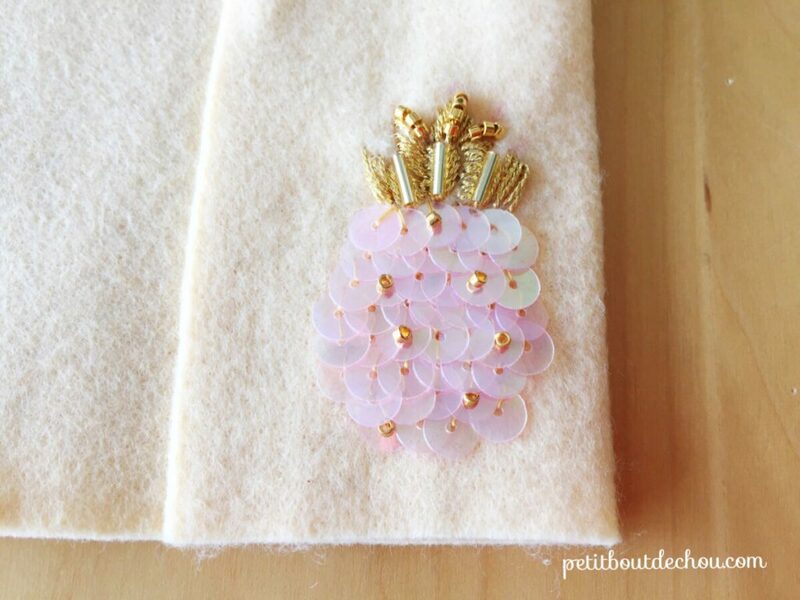 Thread your embroidery floss and make the leaves of the pineapple. You can also thread some miyuki delicas at the same time. 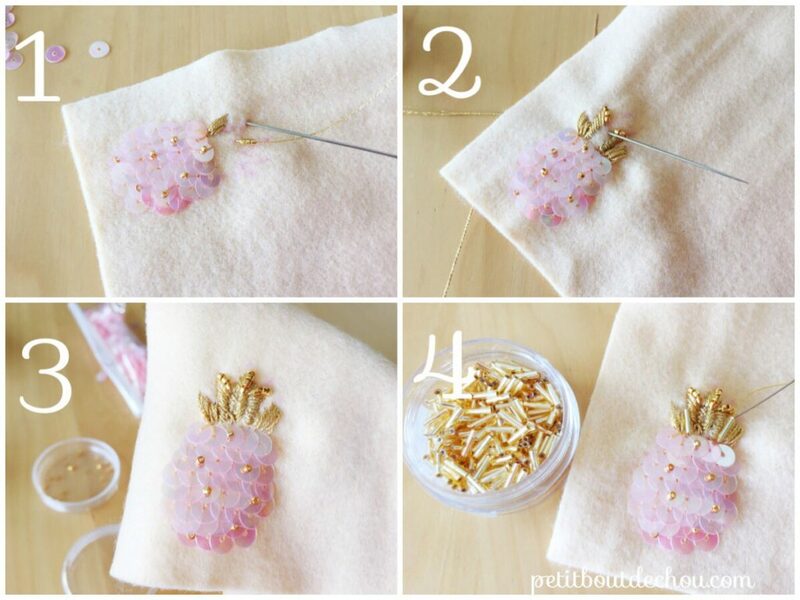 Use some Miyuki bugles to highlight the leaves of the pineapple. 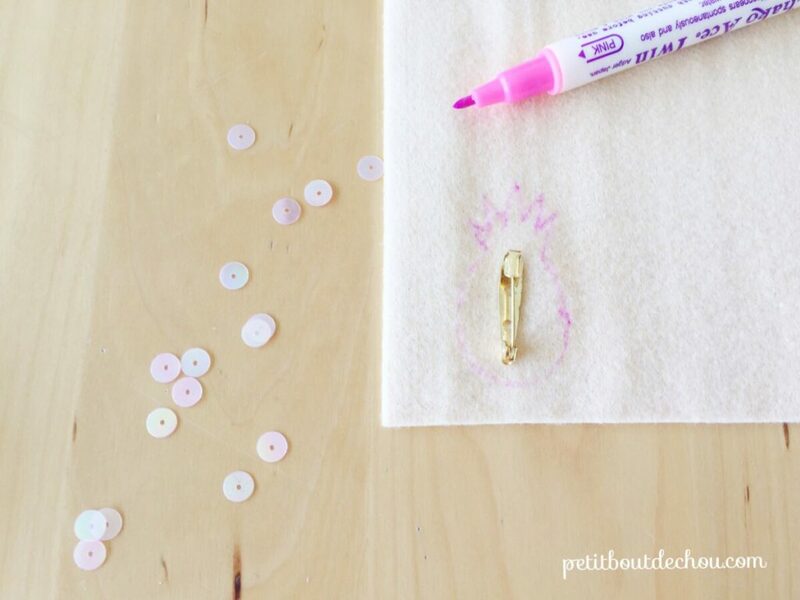 You can use beading thread to fix them. 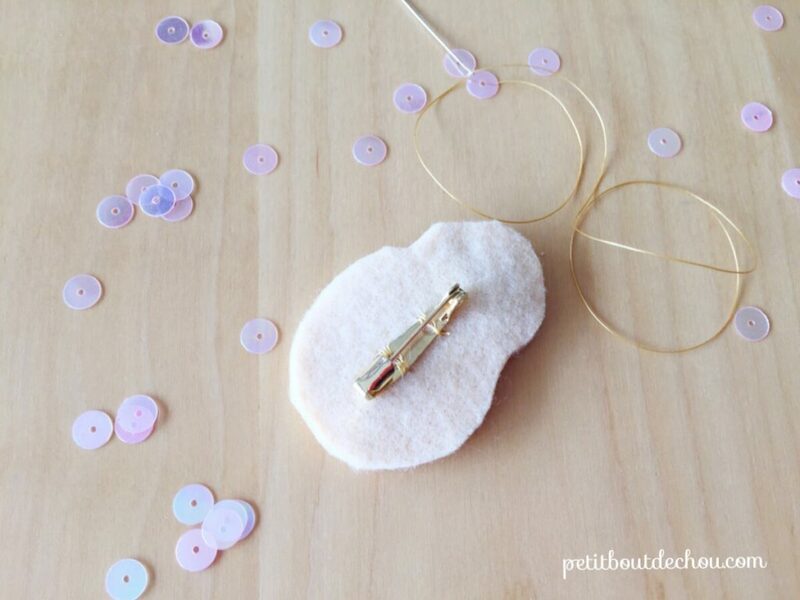 Go through he bead twice so that it stays well in place (4). Fold the felt to double it. Glue both pieces of felt. 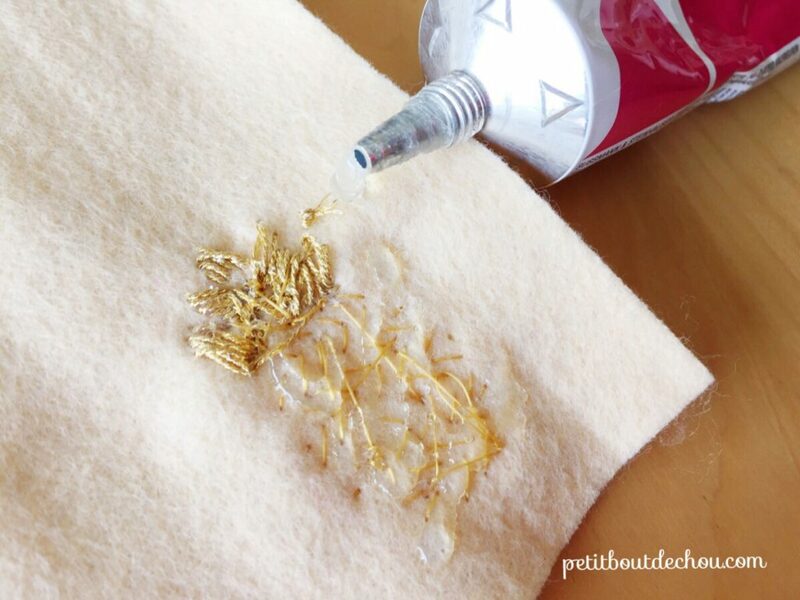 Be generous on the glue and let dry for an hour. 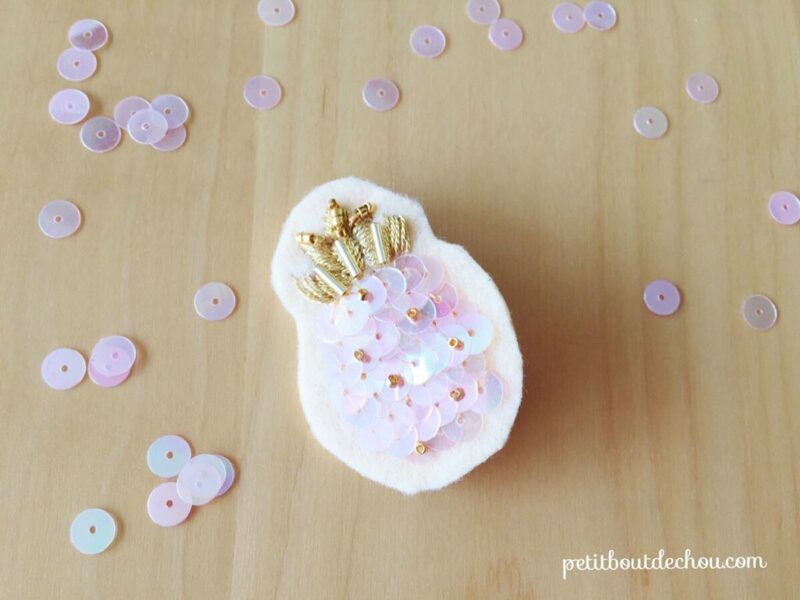 Finally stitch your brooch pin at the back. You are done. I hope you enjoyed this tutorial. 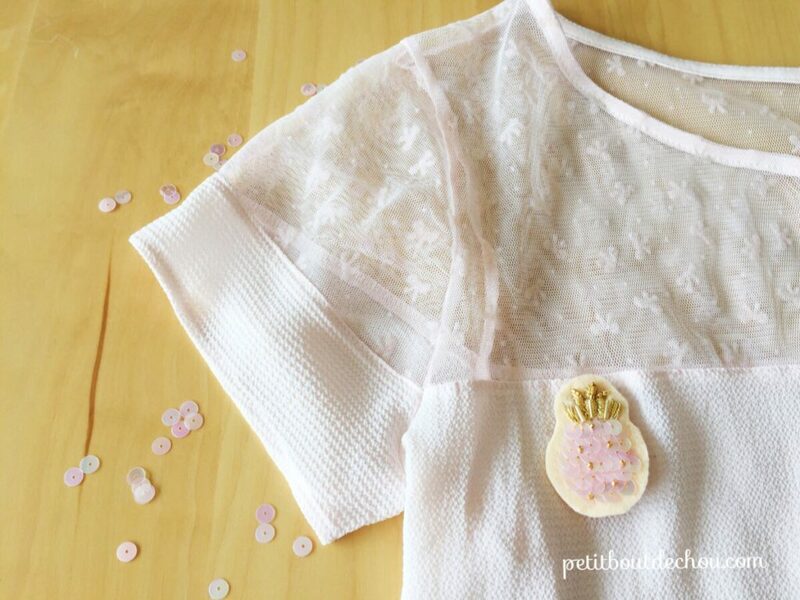 You can now use the brooch on your favourite outfit.